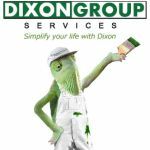 Our latest client is a well established home improvement company in Atlanta, GA called Dixon Group Services which has been catering to the Metro Atlanta area for well over a decade. Our job with Dixon Group Services consists of Marketing their services which includes siding replacement Atlanta, deck installation, exterior and interior painting as well as roofing in Atlanta. This new marketing deal is a great addition to our list of clients as we have never had the pleasure to market a home improvement website in the past. It has so far proven to be quite a challenge but as always our efforts have been paying off as their sales have increased by over 35% since we started a marketing campaign for them.